With the Toys R Us bankruptcy highlighting the chaotic, risky world for some retailers, we revisited our list of big industry names who could go bust over the next year. The quick slide of Toys R Us into bankruptcy this year has made investors, and the retail world, nervous. When we published a list earlier this year of major retailers at risk of bankruptcy, the toy retailer wasn't on it. Credit and bankruptcy analysts we followed and talked with didn't see a Toys R Us bankruptcy as being imminent, despite the company's massive $5 billion debt. But like everything else in retail right now it seems, a company's immediate financial position can change quickly. As Moody's analyst Charles O'Shea noted in a recent report, "One of the most chilling aspects of the Toys bankruptcy was the speed with which it occurred." And the Toys R Us bankruptcy — the third-largest in retail history — did not happen in a vacuum. "We think this is part of a broader crisis of confidence that could start to spread to other highly leveraged, lower-rated retailers," O'Shea wrote, warning of potential "ripple" effects across industry from the Toys R Us bankruptcy, a "poster child of the era" in O'Shea's words. He noted also that the end of the holidays could be a time of particular risk for retailers as they look to "reload" through their vendors toward the end of the season. If their relationships with suppliers weaken, and suppliers press companies on terms, it could send them into bankruptcy court. With all that in mind, we revisited our own list of retailers' at risk of bankruptcy in the next year or so. We looked at their credit ratings, debt loads, recent history and placement on analyst watch lists (all but one are on Fitch's current primary or secondary 'loans of concern' lists). We didn't include all retailers in distressed territory, but rather those we thought loomed largest in the industry's imagination and might have the largest impact on our readers. The retailers on this list might need a Chapter 11 restructuring to shed debt and unprofitable stores over the next 12 to 18 months or so. Or they might not need a trip to court at all. Bankruptcy, of course, is not the death of a company necessarily. Payless, Gymboree, rue21 and True Religion have all successfully exited Chapter 11 this year with healthier-looking structures. That said, liquidation has historically been the most typical outcome of retail bankruptcies. And we've seen those this year, too. There's no nice way to put it: Sears Holdings has performed abysmally in recent history. Its sales have been declining for nearly a decade. Years of cost cuts, store closures, asset sales and layoffs have only managed to slow the loss of money. Customers for its brands are aging. It has publicly feuded with suppliers. It's lashed out at the media. It broke off ties with a major appliance maker in Whirlpool. Meanwhile, other suppliers are reportedly pulling back from Sears because they can't get their shipments insured. And its credit has been downgraded. And it's been forced to warn investors it might not survive as a going concern. And it has $1 billion in debt coming due next year. 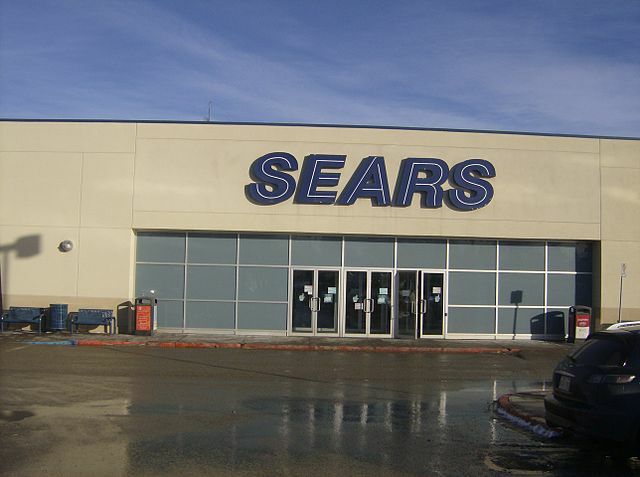 And its Canadian namesake — operated by Sears Holdings until a few years ago — closed its doors for good this fall. And it's lost major executives. And even with these moves, the company has been borrowing hundreds of millions from the hedge fund controlled by its CEO, Eddie Lampert, to maintain liquidity and pay its way through the all-important holiday season. To be sure, Sears has taken measures to recharge its brand. The retailer has partnered with Amazon and others to sell Kenmore products. It's also opened new concept stores and rebooted its holiday catalog. Much of the company's focus goes to its loyalty program. But there's no guarantee those efforts will have a meaningful impact on the retailer's sales. Philip Emma, a retail analyst at Debtwire, described Sears' earnings improvements this year as a matter of "magnitude" compared to past losses — one that stemmed from asset sales, cost cuts and financial engineering rather than a business turnaround. "But they're still fundamentally losing money," he said. Even seemingly perpetual decline does not mean the retailer is necessarily destined to go out of business, as long as its sales trends stabilize at some point. Sears still makes more than $20 billion in sales a year — it still has plenty of customers to serve. Chapter 11, should it come, could be used to help the company shrink to a healthier, albeit even smaller size. At some point, though, it has to stop losing sales and customers to survive, at any size. And many industry observers have a dark view of the company's future. Neiman Marcus could still turn around its business, but some analysts aren't sold on the possibility. High-end department store retailer Neiman Marcus reported sales declines every quarter for the year, and its annual sales for fiscal 2017 fell 4%, to $4.7 billion, compared to 2016. That's a tough hand for a retailer weighed down by a $4.8 billion debt pile. In an October report, Debtwire's Emma wrote of Neiman that "the next two quarters are crucial to assessing if the company is reaching a point where it will stop seeing declines in adjusted EBITDA and start to plateau." Positive sales and profit trends during that period hold for Neiman the possibility of "offer an opportunity to rebuild its business," but Emma noted "we are not sold on that possibility." In June, acquisition talks broke down with Hudson's Bay, whose Saks stores frequently compete for the same customers. Hudson's Bay reportedly balked at the price for the company and was worried about its debt. Neiman Marcus, held by a group of private equity firms, had also earlier floated plans for an IPO. For now, it seems Neiman Marcus is determined to forge a path forward in the distressed department store sector alone. There's been executive turnover as well. Last November, the retailer lost then-CFO Donald Grimes after little more than a year on the job. Grimes' departure followed other turnover in the c-suite in 2016, including Chief Information Officer Michael Kingston and Chief Marketing Officer Wanda Gierhart. Interim Chief Financial Officer Michael Fung, who was working on contract, left in late June. The retailer has made moves to boost profits and sales. The company cut 225 jobs in July. It has also decided to scale back its off-price footprint by about 25% and focus on its position as a luxury seller. It's also unveiled a new strategy it's calling "Digital First" to further its position in the luxury retail space "by anticipating customers' evolving behaviors and engaging them more deeply to drive traffic online and in stores." A Neiman Marcus spokesperson told Retail Dive in an emailed statement in June: "We believe we have sufficient resources to invest in long-term growth opportunities. We are managing our debt load and are planning for debt maturities in 2020 and 2021." J. Crew underwent a massive expansion and tried to go upscale as consumers were changing their tastes, athleisure was rising in popularity and shoppers were keeping tight hold on their wallets after the recession, analysts have noted. "J. Crew made a gamble on upscale millennials by moving away from 'preppy basics,' which had been their brand cachet, and carrying more premium merchandise," A.T. Kearney principal Manik Aryapadi told Retail Dive. "This move backfired, and alienated their core consumers." The result: Declining sales, the departure of a longtime CEO and a $2 billion debt problem. With CEO Mickey Drexler stepping down and, former West Elm President James Brett taking over, the retailer will have to decide (again) what it wants to be to customers and how to adapt to a rapidly changing retail world. In June J. Crew announced it had wrangled some relief with a plan agreed to by most of its creditors, to swap out some of its $566.5 million debt that matures in 2019 for equity and new bonds that don't mature until 2021. That plan, however, stalled after two lenders sued over a stipulation that lenders dismiss litigation relating to the assignment of J. 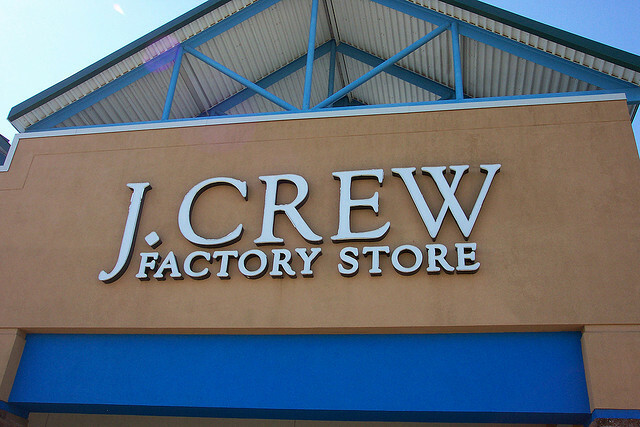 Crew's intellectual property rights, which the retailer late last year attempted to shield by transferring them to an unrestricted Cayman Islands subsidiary. However, the company remains on a secondary "loans of concern" list from Fitch, indicating that analysts still considers it at some risk of default given low bond ratings, discounted debt in the secondary market, "adverse" market information and events and input from analysts. As of August, the retailer was still losing sales and money. Q2 total revenues fell 2% to $560.9 million as same-store sales fell 5%, and the company's net loss in the quarter widened to $20.7 million from $8.6 million in the prior-year period. One bright spot: Its Madewell store sales rose 19% to $93.1 million and same-store sales rose 11% in Q2. Vince issued a "going concern" warning in April. Luxury apparel retailer Vince has worked to adapt as a high-fashion brand. But following the company's release of a "going concern" warning" on April 28, CEO Brendan Hoffman told investors that Vince had failed to adequately meet shoppers' expectations for quick turnarounds on new designs as apparel sales across the sector sagged. The going concern alert to investors came just three years after its spin off of St. Louis-based apparel manufacturer Kellwood Company and directly followed its most recent quarterly earnings report showing Vince racked up a $62.9 million operating loss during the period, due in part to the company's struggles to meet obligations under its loan facility. In May, the company received warning from the New York Stock Exchange that Vince's stock faced delisting. Vince spent last year, which saw sales fall more than 11% compared to 2015, addressing design issues. As part of a turnaround effort, the company said it would revamp some existing stores, open a store in Honolulu, Hawaii, and add men's fashions to its flagship Madison Avenue store. Vince also recently launched a collection of accessories from third-party sources, including jewelry, art, bags, sunglasses and home décor items to be sold online and in Los Angeles and New York. The bridal sector has already seen one bankruptcy this year, that of Alfred Angelo Bridal, which shut down abruptly and created a panicked search for dresses among brides caught in limbo. That might carry dark portents for David's Bridal, but the latter also tried to capitalize on Angelo's failure. In the aftermath of the bankruptcy, David's Bridal tried to court brides who had purchased gowns from Alfred Angelo with 30% off its own wedding dresses and 20% off bridesmaid dresses. David's Bridal has sold women's wedding apparel and accessories for more than 60 years and says that more than 60% of all brides shop at one of its stores. But while the bridal retailer has a well known name in a fragmented industry, it faces mounting competition. And the pressure on sales has exacerbated liquidity issues. Last September the company's then-CEO Pamela Wallack left the job after three years. (She later joined children's apparel retailer The Children's Place.) Paul Pressler, a former Gap CEO who resigned amid performance issues, replaced Wallack in the CEO spot. Last year, Teamster members and consumer activists protested the company and warned about its finances at the Washington, D.C.'s Great Bridal Expo. Moody's analysts expected the company to suffer in 2016 from a website redesign that hurt its positioning in search engine results. Even as David's Bridal planned to reduce promotional pricing, Moody's analysts wrote in March there was risk that efforts to improve profit "may not be sufficient to de-lever the company towards a sustainable level." Being a niche retailer also constrains the company's ability to scale and boost revenue. All that said, David's Bridal has no loan maturities due — often a tipping point for bankruptcy — until 2019, according to Moody's. Women's fashion retailer and wholesaler Nine West has been losing market share amid softening apparel sales and competition from e-commerce players. In giving the retailer's debt a C-level rating, Moody's points to the company's lackluster financial performance together with a "very high debt and leverage burden" that makes for an "unsustainable" capital structure and high chance of default. Moreover, the company's retail operations have been on the downslide for years and operates in a "challenged moderate price department store sector which we believe will make revenue growth difficult," Moody's analysts wrote in March. Private equity firm Sycamore acquired Nine West in 2014 as part of a $2.2 billion buyout of the Jones Group. Around $1.7 billion in debt remains as a legacy from the leveraged buyout. Last fall, sources told Bloomberg that restructuring firms had approached Nine West with proposals to reduce its debt. In May, the company announced it had retained investment bank Lazard to evaluate a long-term capital structure solution. In a press release at the time, Nine West emphasized it had no near-term debt maturities, was in compliance with the agreements governing its debt and had ample liquidity ($160 million as of Dec. 31 last year) to continue to operate in the ordinary course of business. As of June, Nine West remained on Fitch's Bonds of Concern list. Claire's has "exhausted" many of its refinancing options, Debtwire says. Teen and tween-focused Claire's Stores calls itself a "girl's best friend," but girls and young women have plenty other options these days, among them H&M, Forever 21 and Zara, as well as discount and online players. Trying to free up cash and stem losses, the company closed 166 stores last year because they were unprofitable or the lease terms weren't favorable. Like many retailers in trouble, private equity ownership appears to have added to Claire's Stores woes. Apollo Global Management took Claire's private in 2007 in a $3.1 billion leveraged buyout. The retailer has already refinanced some debt to delay interest payments. Earlier this year, credit rating firm Fitch Ratings listed Claire's among retailers on its "Bonds of Concern" list. Claire's is working to improve results in its Icing stores and has scaled back its promotional activity, executives told analysts in April. That has resulted in lower sales but higher margins compared to 2015. For 2016, the company posted net income of $53.9 million compared to a net loss of $236.4 million in 2015. And while the company has positive cash flow, it says that much of its cash goes to paying its debt, which makes it hard for any retailer to compete in the current climate. Compounding its issues, Debtwire analysts wrote in October that — even after a "refinancing bonanza" — "the company has generally exhausted capacity to pursue additional debt-for-debt refinancing." Long a catalog company, the apparel retailer continues to find much of its sales still from that catalog and its e-commerce operations. But Lands' End continues to suffer from its association with Sears, which has been in decline for years, and which spun off the apparel retailer in 2013. Many Lands' End stores are actually still concessions within Sears stores. The retailer does retain loyalty among many of its core customers, but that was muddied during the tenure of former CEO Federica Marchionni, who arrived in 2015 from Dolce & Gabbana's USA unit and stepped down in September. Marchionni ran things from New York and re-introduced the Canvas brand that failed to resonate with either core customers or its intended millennial customers. In a single quarter, the retailer wrote down $6.7 million of prior-season Canvas inventory. 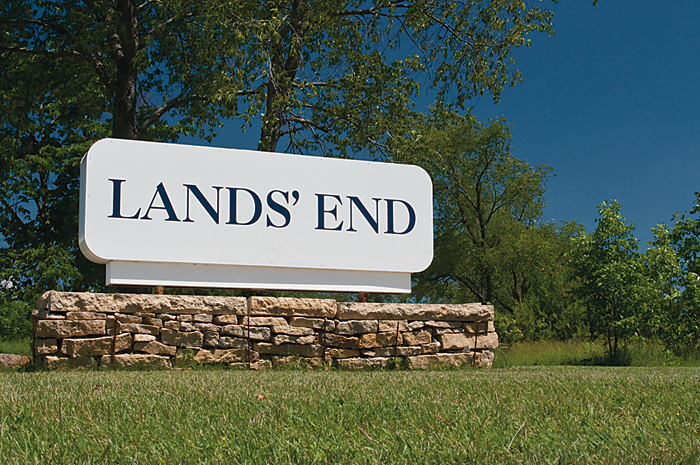 In June, Lands' End reported that first quarter net revenue fell to $268.4 million from $273.4 million in the prior-year quarter and its losses widened to $7.8 million from $5.8 million in the same period last year. In the second quarter, the company reported another sales decline, this one a 3.5% drop, to $302.2 million, from the same period last year. Its loss again widened, to $3.9 million from about $2 million in Q2 last year. CL King Senior Analyst Steven Marotta, however, noted in an August report that the company had improved in some metrics in its catalog business, namely in lapsed and new customer activations, as well as a mid-single-digit increase in active customer purchases. Moreover, a "heightened focus on test-and-react, both on product and marketing" could help the company improve on other fundamental metrics next near, Marotta added. But will it be enough? The retailer is on Fitch's secondary "loans of concern" list, indicating Lands' End has some financial flexibility but is also still at some risk of defaulting on a $498.3 million loan. Founded in 2004, the women's accessories and jewelry retailer made a name for itself by organizing its assortments by color, making for bright, uniquely organized stores. Backed by private equity firms TSG Consumer Partners and Hancock Park Associates, the company has struggled of late to pay off its debt after a period of rapid expansion. Fitch includes the retailer on its primary "loans of concern" list for its $150 million outstanding loan. Debtwire writes that the retailer "has struggled in recent years with exposure to the highly fragmented market of fashion jewelry and accessories" but that "[t]his didn't stop Charming Charlie from expanding by 79 stores between 2013 and 2015." In October, both the Wall Street Journal and Debtwire reported that Charming Charlie was seeking a multi-million dollar loan to maintain liquidity through the holidays and hold off default. Securing a loan could help the retailer through the holiday season, but sources told the Journal that "an in-court restructuring hasn't been ruled out." Earlier in October, S&P analysts led by Adam Melvin wrote that they expect "higher cash use and [loan] covenant compliance tightening, which could lead to a covenant breach in 2018" for Charming Charlie, according to a report emailed to Retail Dive. Those events could, in turn, lead to a debt restructuring next year, the analysts added. S&P's Melvin wrote that his team expects fort the retailer's "weak operating trends will persist" over the next 12 months, which would force the company to rely on credit for liquidity. "We believe the risks of a distressed debt transaction to address the capital structure are elevating as 2019 maturities approach, performance remains soft and the broader retail sector remains under pressure," the analysts wrote. More broadly, Melvin and his team pointed out that Charming Charlie operates in a highly competitive sector and lacks the size and scope of its larger rivals. "The company is subject to fashion risk and is vulnerable to customers' shifting preference and spending, exacerbated by the company's rapid store growth over the past few years," the analysts wrote, noting also the retailer expanded its store count by nearly 35%, to about 370 locations, over the past four years. 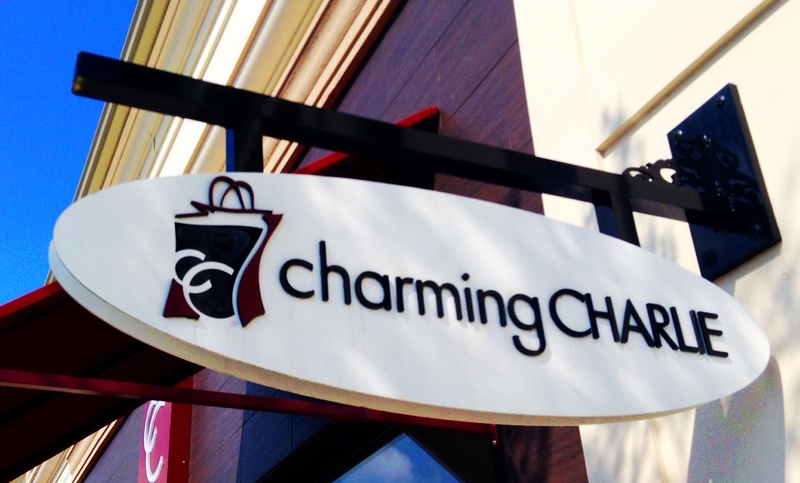 Last year, Charming Charlie reportedly explored a debt restructuring after it "failed to establish sufficient scale to compete in a highly fragmented market that has been tested by the rise of internet shopping and rapidly changing consumer tastes," according to Reuters. Some suppliers have demanded stricter terms from Bon-Ton. The department store retailer, unlike the others noted here, does not appear on Fitch's primary or secondary watch lists. But its debt is rated at distressed levels and S&P has listed the company as one of the retailers most at risk of bankruptcy. Moody's, which gives Bon-Ton a C-level credit rating, noted in March that it had a "good" liquidity profile. Still, it has $572 million in debt due next December and carries $850 million altogether, according to Moody's. In one potentially ominous sign, some suppliers have reportedly pressed for tighter terms on shipments. The latter is an issue that, as we saw with Toys R Us, can spiral into a cash crisis that didn't exist previously if enough suppliers press for new, strict terms all at once. Fitch's David Silverman, senior director for retail coverage at the ratings agency, told Retail Dive in an earlier interview that the retailer "has a bit of time to figure things out." "Is that an arguable name? Probably, to some extent. It's certainly not one we're not thinking about," Silverman added, noting the company's weak cash flow "the kind of limited ability to reverse trends and invest in their business." Later, in a Nov. 17 report, Fitch analysts noted, "While the company has enough liquidity to support 2017 holiday working capital needs, there is risk of a debt restructuring over the next 12 months." In September, media reported that the retailer hired AlixPartners for help with its turnaround efforts and is also looking for a financial adviser that could help with strategic options. That included debt restructuring, as unnamed sources told Reuters. May saw an executive shakeup at the retailer, in which Bon-Ton announced that COO William Tracy would replace previous CEO Kathryn Bufano. Bon-Ton's top-line sales have been falling since 2007, and the retailer hasn't posted a positive profit since 2010, according to regulatory filings. Comparable sales for Bon-Ton have been negative for the past nine quarters, according to an August report from Moody's. In Q1 of this year, comparable sales fell by 8.8% — the worst among its department store peers with the exception of Sears, according to Moody's. In the second quarter, comps fell by 6.1%. As Debtwire's Emma pointed out in an October report, Bon-Ton had been able to cut overhead to improve margins in the face of declining sales, but "there is a finite level of costs that can be taken out of a retailer without having a serious impact on the ability to reverse a traffic decline." Factoring issues on its shipments, should they spiral into a liquidity crunch, pose a bankruptcy risk to Bon-Ton, even as it maintains excess credit for its business (in the form of $171 million in borrowing capacity under a revolving credit facility), Emma added. But he also writes that Bon-Ton can avoid bankruptcy "if it can maintain vendor support and start to generate some earnings improvement in 2018." Ultimately, though, even larger concerns loom over the discount chain. "[T]he longer-term question remains as to the viability of its business model beyond just limping along at a slow, steady rate of decline," Emma wrote. 99 Cents Only Stores operate in a low-margin space that's only gotten more competitive as Dollar General, Dollar Tree, Walmart and others battle for market share. The 35-year-old chain is yet another struggling retailer owned by private equity. (Ares Management, the Canadian Pension Plan Investment Board and the Gold-Schiffer family bought the chain out in January 2012.) Despite the discount retailer's high leverage and debt rates, it has seen some success in improving performance. In June, the company reported a net sales increase of 6.7% and same-store sales increase of 6.9%, which CEO and President Geoffrey Covert attributed to improvements in merchandising and stocking as well as improved logistics execution and reduced shrink. Moody's analysts also point out that 99 Cents Only has installed a perpetual inventory system and has seen positive same-store sales growth for the past three quarters. Yet, the company is still losing money. It racked up an $8.8 million net loss for its first quarter of fiscal 2018 — but even that is a major improvement compared to the prior-year period's loss of $25.2 million. In the second quarter, the retailer managed to shrink its loss relative to Q2 2016, to $33.6 million from $35.1 million. For the first half of the year, the company narrowed its loss by nearly $20 million compared to last year, to $42.4 million. Its sales increased during that time as well by about $8 million, to $1.1 billion. In September, S&P downgraded the retailer's debt after it announced a proposal to extend a loan maturity by three years and reallocate part the loan from a first-lien to a second-lien loan, a transaction which S&P analysts wrote at the time "would constitute a distressed exchange and be tantamount to default," according to a note emailed to Retail Dive. In October, the 99 Cents Only said in an SEC filing that it had not reached an agreement with its lenders but was still open to refinancing its debt. Charlotte Russe has an outstanding loan of $215 million and falling sales. As a mall-based, teen apparel retailer owned by private equity, Charlotte Russe fits the mold of struggling retailers almost perfectly. In 2009, at the time of the $380 million take-private buyout by Advent International, Charlotte Russe operated 500 stores and was already facing, in the words of the Wall Street Journal, a "very competitive market in a treacherous retail environment" for niche retail that was filling up with fast-fashion sellers like Forever 21 and H&M. Today the retailer's store footprint is roughly the same but its financial prospects have fallen. Fitch lists the company's debt on its "loans of concern" list for an outstanding loan worth more than $215 million. Debtwire analysts noted in July that during 2016 "the company had both positive sales growth and comps after [fiscal 2015] results proved challenging, which a merchandising misstep partly contributed to." But, after moving the needle last year, Charlotte Russe's first quarter in 2017 "showed the company reversing course," Debtwire analysts wrote, noting that the retailer's top-line sales fell 4.7% to $229 million compared to the prior-year period and same-store sales fell 5.3%. Moody's downgraded Charlotte Russe's credit in May, citing mall traffic declines and relentless discounting in apparel. "Despite improved results in fiscal 2016, operating performance over the next 12 to 18 months will continue to face headwinds in a difficult retail environment causing Charlotte Russe to be unable to improve its EBIT/interest expense above 1 time, and making it more challenging for the company to refinance its capital structure, which begins to come due in early 2019," Moody's analyst Dan Altieri said in a statement at the time. The teen retailer has, however, made some headway with e-commerce efforts. In March, its native mobile app, launched in summer 2016, hit one million downloads, according to Women's Wear Daily. Editor's note: Retail Dive's "The running list of 2017 retail apocalypse victims" is a comprehensive tally of retailers that have succumbed to financial pressures this year. We will update this list to reflect major retailers that have filed for Chapter 11 bankruptcy protection going forward.